Former Buffalo Sabres forward Tyler Ennis has reportedly inked a one-year deal with the Toronto Maple Leafs. According to CapFreindly the deal is worth $650K. Ennis was selected by the Sabres in 2008 with the 26th overall pick. That pick was acquired by Buffalo in the Brian Campbell to San Jose Sharks deal consummated on February 26, 2008. 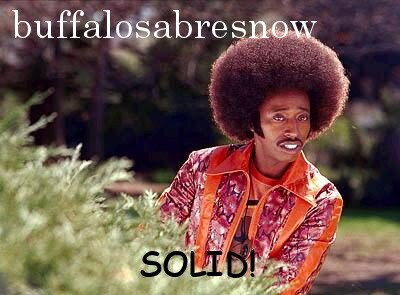 In eight seasons with the Sabres the 5'9" 175 lb. forward known for his east/west, jitterbug style of play scored 97 goals and 236 points in 419 games. Ennis was traded by Buffalo last summer, along with Marcus Foligno, to the Minnesota Wild in exchange for defenseman Marco Scandella and winger Jason Pominville. After being waived by the Wild, Minnesota then bought out the final year of a 5yr/$23 million deal he signed in Buffalo. CapFreindly says that his contract is unconfirmed at this time. Also not confirmed is any trade between the Ottawa Senators and Tampa Bay Lightning involving Sens defenseman Erik Karlsson, but If (when) the deal is consumed, it would be a coup for the team and Bolts GM Steve Yzerman as the rich will just keep getting richer. In three of the past four seasons the Lightning have made it to the Eastern Conference Finals with one of those being a trip to the Stanley Cup Finals. The other year was a weird aberration where they missed the playoffs by a smidge. Tampa is a team that's loaded up-front with strength down the middle and a slew of wingers that are fast and can finish. Their defense is solid, anchored by 2018 Norris Trophy-winner Victor Hedman, and they've gotten excellent goaltending from starter Andrei Vasilevsky. By the looks of it, they should have gotten past the Washington Capitals in the 2018 playoffs instead of losing in seven games. However, they were beaten by a Capitals team in a game-seven that featured an Alex Ovechkin signature one-timer to open the scoring, two goals by Andre Burakovsky and the wall that was Brayden Holtby and his 29 saves. Perhaps what stuck in the craw of Yzerman after that loss was that his offense went cold and was held scoreless by Holtby and Co. for the final 159:07 of the series, almost eight periods of hockey. With Yzerman's forward ranks well stocked, he now has an opportunity to land a premier scoring defenseman in Karlsson who has averaged almost 16 goals and a touch over 70 points the last four seasons. The possibilities for head coach Jon Cooper on the back-end, should the Bolts add the right-handed Karlsson, are tantalizing as he could either ice a super duo with the left-handed Hedman and 2015 Norris-winner Karlsson on the top pair or split them in the top-four and give the opposition fits for 50 minutes a game. Tampa is the class of the Atlantic Division as it stands right now so adding a player like Karlsson wouldn't change the dynamic within the division save for the fact that teams will now be even farther away from their talent-level. For a team like the Buffalo, who should be on the upswing after seven long years of struggles, it doesn't really matter if the Bolts land Karlsson or not, as they're still years away from catching up. Which means they should be in on the Tampa/Ottawa Senators deal if a rumored third team is involved. The NY Rangers, of course, are said to be the third team as they're retooling and have a ton of cap-space to work with this season. They, like Buffalo, finished last in their division and ended up with the third-worst record in the East. They have $23 million in cap-space, according to capfreindly, with seven players needed to fill out the roster and no big names to eat up chunks of cap-space. Plus, it's the Big Apple, which could be attractive to players with modified (or even no-) trade clauses. Tampa has 10 such players, five on the back-end, and is just about $3.5 million under the cap right now. They would need to move out at least $4 million to take on Karlsson's $6.5 million hit and still leave some wiggle room with many of the movable pieces (like Brayden Coburn and Dan Girardi) protected by those clauses. As for the Sabres, CapFreindly has them at about $13 million under the cap this year with a full roster minus unsigned restricted free agent Sam Reinhart, who at most would carry $5 million AAV. They shouldn't start seeing any serious cap-related problems until '21-22 when Rasmus Dahliln will be coming off of his entry-level deal and joins Jack Eichel as the highest cap-hits on the club. The biggest favor the Sabres could do for the Lightning might be to take on the fairly lavish contract that Yzerman bestowed upon LW, J.T. Miller in June. Miller signed a 5yr./$26.5 million contract just after the draft last month and has a modified NTC that doesn't kick in until next year. Miller checks off some boxes for the Sabres in that he's a versatile left-handed forward that can play the wing and of his 82 career goals only 18 have come on the powerplay, although the ratio has increased over the past three seasons to 11 of 46 goals scored on the powerplay. He's got speed and size (6'1" 214 lbs,) can work the corners and can play in all situations. In addition, the East Palestine, Ohio native played for the U.S. National Development Program and is in the middle of his prime at 25 yrs. old meaning at the end of his contract he'll be 30. But if the Bolts really want the Sabres to take on a long-term contract like that, they'd need to add some incentive. Mikhail Sergachev or Callan Foote would be nice, but they'd probably be more inclined to move a prospect like F Brett Howden,, D Erik Cernack or LW Dennis Yan. The Sabres in-turn would also throw some incentive Ottawa's way to help facilitate the trade. Buffalo has three first-rounders in the upcoming NHL Draft while the Senators do not have one as it was traded away in the Matt Duchene deal. One of those could easily be in play as could a prospect like Alexander Nylander. Depending upon the value of the pieces in the deal, the Sabres might want to ask for a prospect or player in return from Ottawa, like pending 2019 free agent forward, Ryan Dzingel who also checks off a lot of boxes for the Sabres. 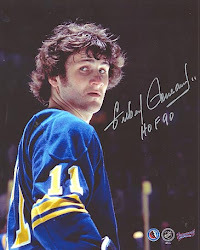 In the process the Sabres would be sending a conditional 2019 first rounder and a player like 20 yr. old Nylander to the Senators, who would also be getting a package from Tampa Bay. The Lightning would be getting Karlsson and the cap-space to fit him in while the Sabres would land at least one top-nine forward in Miller, plus his $5.25 million cap hit for the next five years, and a mid-upper level prospect thus further remaking the Sabres the way GM Jason Botterill would like. Ennis was a part of Botterill's first big trade and so far that one has gone well with both Scandella and Pominville still a part of the Sabres. Botterill also made other big trades involving Evander Kane to the Sharks and the just completed blockbuster sending Ryan O'Reilly to the St. Louis Blues.